How would you rate your experience with GreatCall ? GreatCall was founded by Arlene Harris in 2006 to provide aging adults with easy to operate technology, such as cell phones. The Jitterbug phone was the first product released. Live Nurse, which allowed users to chat with a nurse 24/7, was launched in 2009. The company is considered to be a connected health technology service. 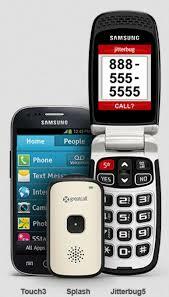 GreatCall provides cellular service through the Verizon network, mobile devices, apps, and a wearable “alert” device. The company also offers MedCoach, designed to help clients manage their medications and in 2014, the company added Link, an alerting app. GreatCall was acquired by Best Buy in August 2018 for $800 million. In January 2019 GreatCall announced a partnership with long-term care insurance provider CNA. Policyholders with CNA will offer them an in-home passive remote monitoring solution, Lively Home, and its Lively Mobile medical alert device. Company headquarters are located in San Diego, California. 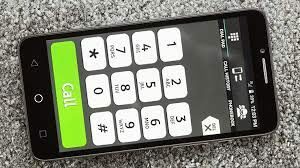 Question 1: What is the phone number for GreatCall ? Answer 1: The phone number for GreatCall is (858) 720-7500. Question 2: Who is the CEO of GreatCall ? Answer 2: The CEO of GreatCall is David Inns. Question 3: Who founded GreatCall ? Answer 3: GreatCall was founded by Arlene Harris in 2006. Your marketing is to seniors who are prone to drop phones. Replacement glass is not available to after market repair shops to fix the screens. Replacing a phone is not a good option. Every other phone made does? Why not you? Want to make sure GreatCall sees your comment or complaint?